FIRST FLOOR FLAT. 2 Bedrooms Sleeps 4. BEDROOMS: Twin Bedroom - Double Bedroom (with King Size Bed) (with ensuite shower room and toilet) (sea glimpses). Lounge/diner with FLATSCREEN TV - DVD - FREEVIEW - beautiful panoramic sea views of Bournemouth Bay - with patio doors leading to spacious enclosed balcony - FREE WIFI (subject to availability from Internet Service Provider). Modern, fitted kitchen with ELECTRIC HOB - ELECTRIC OVEN - MICROWAVE - WASHER/DRYER - DISHWASHER - FRIDGE - FREEZER. Modern, fully tiled bathroom with bath, shower facility and toilet. Communal gardens. Allocated underground parking. GAS/ELECTRIC - INCLUDED. Linen & towels included for holiday lets are provided by Resort 2 Us. EPC Grade: B. Sorry, this property does not accept children under 12 years old. This is a relaxing first floor seafront flat which is situated in a purpose built block of holiday apartments overlooking Bournemouth Bay. The flat has been furnished to a good standard with a wide range of equipment. LOCAL AREA: There are local shops nearby and just opposite is the Zig-Zag path for access to the clean, safe sandy beaches of Southbourne. Located between Boscombe and Christchurch, Southbourne-On-Sea is a popular resort for those who want a slightly quieter experience than holidaying in Bournemouth town centre. Although an integral part of Bournemouth, Southbourne’s intimate vibe allows its tourists to do as they wish, whether its exploring the history, dining out in its best eateries, or simply relaxing along the seafront. As the most easterly part of the borough, the suburb of Southbourne’s charm is the infamous cliff tops, which harbour fabulous views sweeping from the isle of Wight across Poole Bay, to the isle of Purbeck. The main area of Southbourne is the high street which is known as Southbourne Grove. This unique high-street offers anything from an eclectic mix of independent shops, to numerous eateries, coffee shops and a selection of traditional English pubs. The property is close to Hengistbury Head for its nature walks, the River Stour and Christchurch town centre with its historical interest. Bournemouth town centre is within easy reach for the wide variety of tourist attractions such as the Pavilion theatre, Oceanarium and many more. Bournecoast are the area's leading supplier of self-catering accommodation and are proud of being a family run business since 1960. We offer a large selection of apartments, family accommodation and large holiday homes in Bournemouth, Poole, Christchurch and the surrounding areas. We are specialists in self-catering holiday accommodation, managing properties along the coast and inland. The Bournecoast Customer Service team are available to assist you during your stay or for emergencies. Nestled in a sheltered bay on the South Coast of England in the picturesque county of Dorset, this area has seven miles of sandy beaches for you to enjoy. There’s plenty to do in the resort or you can use the area as a base – stay and eat here while exploring the rest of Dorset’s history, heritage and picture-postcard scenery. There are plenty of places for you to visit, whatever the weather. There are museums, galleries, amusement arcades, crazy golf, play parks and an oceanarium. You can bring friends and family of all ages too – there’ll be something for everyone to enjoy. Are you an adrenaline junkie? Or do you prefer a more relaxed pace? You can hike on the clifftops or freewheel gently along the prom. If you’d rather slow your pulse than get the blood pumping, you can spend your time just being pampered in one our spas. We’ve got golf courses, gyms and leisure centres, bowling lawns, tennis courts and the option to try beach sports. We find it’s easier to get motivated with the sand between your toes and sea views on the horizon! You don’t have to go very far for rippling waves and sparkling seas. Here you can take to your surfboard, kayak or paddleboard and get straight out onto the open water. You can bring your own equipment or hire it while you’re here. We’ve got a fabulous mix of shops – there are boutiques, department stores, designer brands and high street favourites. Our shops are close to the beach and surrounded by cafés and coffee shops. So, you can shop ‘til you drop or just pop in for holiday essentials. The area is well known for its bustling nightlife. There are cinemas, comedy clubs, theatres, casinos, nightclubs and plenty of places to catch live music. It’s hard to beat a sunny day on the beach but with a huge choice of gigs and shows in town, you’ll continue to be wowed long after the sun has gone down. The area has a host of award-winning restaurants, bars, clubs, theatres, museums and cinemas, as well as countless attractions and places of interest. With its ponies, protected natural beauty and thousand years of history, the New Forest is Bournemouth's back yard and for those of you of a literary bent, Thomas Hardy country is just a few miles away (Bournemouth being Hardy's Sandbourne). Continuing the themes, the tranquillity of the nearby isle of Purbeck was the inspiration for Enid Blyton's Famous Five adventures. Add to that the National Trust sanctuary of Poole’s Brownsea Island and the historic charms of Christchurch and its famous Priory and you have the perfect backdrop for your holiday - with accommodation from Bournecoast being the cherry on the cake. Bournemouth supplies the perfect base from which to explore the full pleasures of the area (Dorset & Hampshire), as it offers a mix of experiences to suit all tastes. All set in area that enjoys the UK's best weather and warmest temperatures. All set in a surprisingly compact area, making it the ideal place to visit for any length of time, from one week to two months. Set in one of the most beautiful parts of southern England, Bournemouth and Poole are justly famous for their seven miles of golden sandy beaches, both Poole and Bournemouth beach have been awarded Blue Flag status meaning they are internationally recognised to be of the highest standard, but there is so much more to the area than the seashore. The area has a host of award-winning restaurants, bars, clubs, theatres, museums and cinemas, as well as countless attractions and places of interest. With its ponies, protected natural beauty and thousand years of history, the New Forest is Bournemouth's back yard. 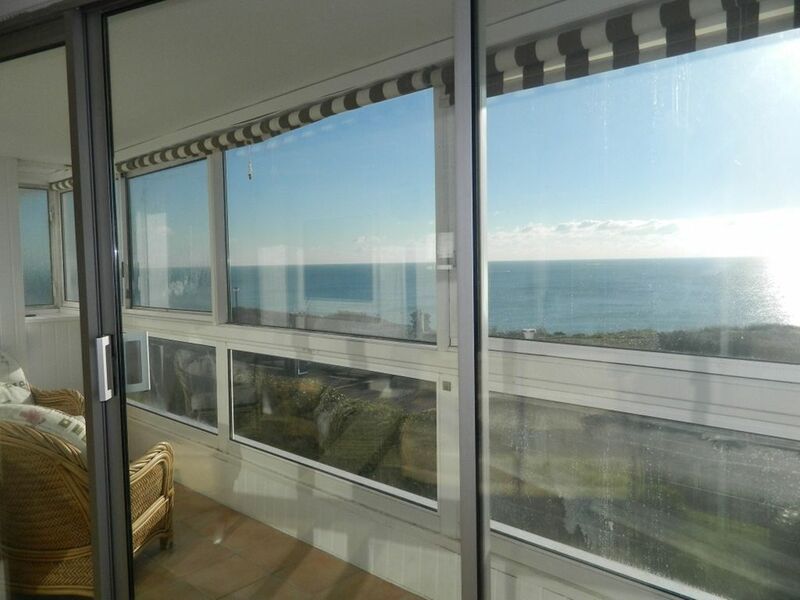 A comfortable apartment, well equipped and great views of the sea. Good public transport and , or walking options. Thank you for your review and feedback. We are so pleased to hear you enjoyed your holiday so much and would love to welcome you again to stay. Regards, Bournecoast Holiday Agents. Has all you need in a great loacation. Bournecoast staff were excellent. Holidays are special! They form many of the best life memories and provide a rare opportunity for FREEDOM. Freedom to relax, play, breath and choose, what you want to do and when you want to do it. At Bournecoast we give you freedom of choice by offering an impressive selection of Self Catering accommodation in one of the most beautiful destinations in the United Kingdom. Dorset is a very popular holiday destination all year round. It offers beautiful rolling countryside, dramatic scenery, charming market towns, character villages and miles of some of the finest sandy beaches in the UK. Bournemouth lies to the east of the county and offers seven miles of blue flag beaches. It is near the market town of Christchurch with its 11th century Priory Church, ruined castle and Saxon mill, and the stunning medieval New Forest. The area caters for diverse interests, the popular buzzing beach resort in Bournemouth with its vibrant nightlife; the gentler pursuits of walking, wildlife and bird-watching in the nature reserves and national parks, and along the 20 miles of Bournemouth Coast footpath; and active pursuits such as cycling, sailing, rowing, canoeing, windsurfing, kite-surfing and sea kayaking. Popular also for touring, Southampton, the Isle of Wight, Salisbury and Stonehenge are all within reasonable travelling distance. Dorset features some excellent museums, with world leading centres at Bovington (The Tank Museum, telling the history of military vehicles), and the Russell Cotes Museum and Art Gallery in Bournemouth. Other museums include the Dorset County Museum in Dorchester, The Red House in Christchurch, the Royal Signals Museum at Blandford, and the award winning Brewers Quay in Weymouth. Many smaller towns have their own local museums. These are some of the local areas you can visit whilst on holiday at this accommodation. POOLE / PARKSTONE / BAITER PARK / WALLISDOWN / BRANKSOME - Poole is a bustling area with a large shopping centre and a variety of excellent restaurants. Poole Harbour enjoys spectacular views across to Brownsea Island and is only a short drive to the sandy beaches at Sandbanks. SANDBANKS / CANFORD CLIFFS - Sandbanks is for those of us who want that luxury apartment located within an area that has nothing but the best restaurants and exclusive sandy beaches. ALUM CHINE / WESTBOURNE - A perfect holiday destination, with sandy beaches and stunning cliff top views across to the Isle of Wight and Old Harry Rocks. The area has a selection of exclusive shops and boutiques with everything you need for a great holiday. BOURNEMOUTH TOWN CENTRE / WEST CLIFF / LANSDOWNE / EAST CLIFF - This is the place to visit if you want to be in the hustle and bustle within walking distance to all the shopping and attractions, including the Bournemouth International Centre (BIC). It is a short walk from the centre down to the award-winning gardens leading to the sandy beaches and lively pier. BOSCOMBE / BOSCOMBE MANOR / POKESDOWN - Within an extensive shopping area and range of restaurants, Boscombe has a lot to offer. A short drive or land trip along the promenade from the town centre, it has its own pier and wonderful sandy beaches. CHARMINSTER / WINTON - These are neighbouring residential areas with a diverse selection of restaurants, shops and amenities, situated just a short drive from Bournemouth beach. SOUTHBOURNE / TUCKTON / WICK / HENGISTBURY HEAD - An ideal destination for families with its own shopping area and beautiful walks over nearby Hengistbury Head. Located just a short drive or bus ride away from the centre of both Bournemouth and Christchurch. CHRISTCHURCH / MUDEFORD / HIGHCLIFFE - Christchurch is a quaint destination, steeped in history. With beautiful riverside walks along the Stour it is ideal for the quieter day out, while still having the High Street for shopping. Mudeford and Highcliffe offer beautiful sandy stretches of beach in quiet surroundings, with a short ferry ride from Mudeford to Hengistbury Head. BARTON-ON-SEA / MILFORD-ON-SEA - These are great touring bases, located just along the coast from Christchurch. With easy access to the New Forest and sandy beaches at Highcliffe, both areas also have their own scenic seafronts and atmospheric village centres. NEW FOREST - The perfect countryside area of peace and tranquillity, offering beautiful walks where the famous New Forest ponies live. There are many villages throughout the area for shopping and dining in style.